Our Happy Computer embroidery is sold out! 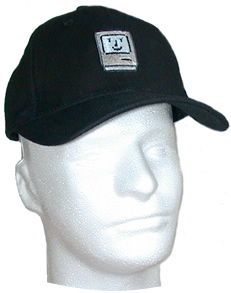 You may remember our insanely popular Happy Computer shirts and caps from several years ago. Well, they sold out! This was a design that really evokes the spirit of your "first computer love" and it did indeed leave a smile on your face, if you were lucky enough to get one! Oh well, sorry about that! Check out the rest of our great caps!! Be sure to check out our other great shirts!